Ford Service | Serving the Los Angeles & Santa Monica areas for your Ford service. South Bay Ford's world-class service department is second to none when it comes to customer satisfaction and peace of mind. In order to effectively serve our customers, South Bay Ford offers a premier Service experience to every customer that is backed by our principles of respect and integrity. For over two decades, our family-owned dealership has invested the appropriate resources in order to give our customers the best experience possible. This includes industry-leading diagnostic equipment, using genuine Ford service parts, and employing more Ford Master Certified Technicians than any other dealer for our 140-plus service bays. With an award-winning team and the wherewithal to troubleshoot any problem, South Bay Ford’s knowledge and experience are truly unparalleled when it comes to Ford service around Los Angeles. Why Service at South Bay Ford? Along with our industry-leading, state-of-the-art service center, South Bay Ford offers a spectrum of amenities, including an in-house bistro, complete with a full menu, fresh coffee, and more. The best part is, whenever you drop your car off for service, your meal will be on us. You may also enjoy our free Wi-Fi, complimentary shuttle service, a shoe-shine to keep you looking sharp, a waiting room furnished with your comfort in mind, and personal workstations for use at your leisure. An on-site Enterprise Rent-A-Car representative is also provided for your convenience and loaner cars are available upon request, depending on the nature and duration of your service visit. On top of everything else, South Bay Ford offers an exclusive oil change that will be completed within 45 minutes or it’s completely free—all with no appointment necessary. As the name implies, Quick Lane services at South Bay Ford are quick and convenient. We cater to all makes and models for vehicle service in LA and surrounding areas without the need to schedule an appointment. South Bay Ford’s factory-trained experts are ready to administer the highest quality care to keep your vehicle running like new. Below are just some of the services we offer for your car or truck. South Bay Ford is pleased to offer Uber inspections for drivers aspiring to become uberX, uberXL, UberBLACK, UberSUV, UberLUX, or UberPLUS certified. In order to take advantage of Uber’s technology-based ride sharing services, your vehicle must pass a simple 19-point vehicle inspection. Maintaining a level of quality and safety is paramount for Uber drivers and South Bay Ford is here to facilitate the inspection process as efficient as possible so you can start earning cash with your car. We make the process easy: Make sure you meet Uber’s vehicle requirements then stop by our service department with your vehicle inspection form. You will be out the door in no time! It is our utmost privilege to serve the beautiful communities surrounding the South Bay. 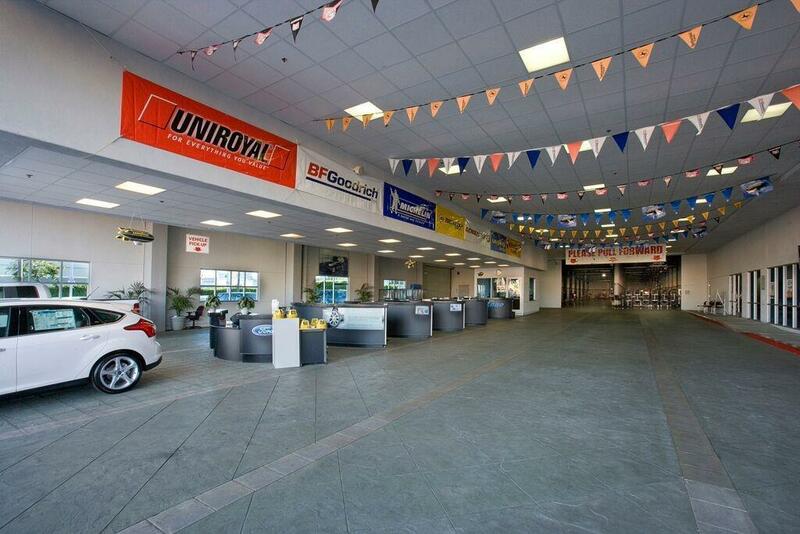 As such, our world class service drive welcomes any and all vehicles to stop in for a tune-up. Visit the links below to learn more.